Since the record boom of the late sixties, John Guerin has run the gamut of musical feelings, recording with greats such as Frank Sinatra, Frank Zappa, The Byrds and Thelonius Monk. In jazz and pop, he is one of the most recorded drummers of all time. In the film medium, his most celebrated work was on the soundtrack for Clint Eastwood's motion picture "Bird". He has also worked with Dave Grusin, Jerry Goldsmith, John Williams and a myriad of other fine composers. 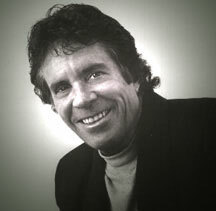 Guerin traveled across the world while co-leading the L.A. Express and working with Joni Mitchell. His compositions include "The Hissing of Summer Lawns" with Joni Mitchell, "Don't Be Blue" with Michael Franks and countless songs with other artists. Guerin has produced many record projects including work for O.C. Smith, Keith Carradine ("I'm Easy"), and Terry Garthwaite. He achieved ProEmeritus status by winning the NARAS MVP award for four years, and has authored a drum book titled "Jazz + Rock = John Guerin." His recent credits include work with Oscar Peterson, Jon Faddis, Jimmy Heath, k.d. lang, Ray Charles and Sonny Rollins, as well as producing a series of jazz CDs in Japan. Before he passed away in January of 2004, Guerin was a Clinician for the D.W. Drum Company and appeared with the trios of Roger Kellaway and Mike Melvoin.